The „Festival of Kinetic Art of Light” Light Move Festival is looking for light artists for its 8th edition, scheduled for September 2018. Foundation Lux pro Monumentis invites artists, designers, engineers, light designers and other people who just love light to take part in the next edition of festival. The programme consist of large format projections, video mappings, artistic illumination, audiovisual performances, concerts and exhibitions. The best projects will be featured during the festival and the organizer will cover all costs – materials, transport etc. + artists salary. This year projects should be a creative expression of The Centenary of Regaining Polish Independence. “They will refer to the motor 100 years of Independence – Celebration of Joy. The ideas should also be based on motives such as: freedom, future, diversity, human rights. – says Beata Konieczniak – Light Move Festival Creator. Light installations with other projects (interactive installations, street performance, parade, interdisciplinary spectacles). The first time artists can apply in the special category – unique interpretation of the two topics: The Gate of freedom and Her. 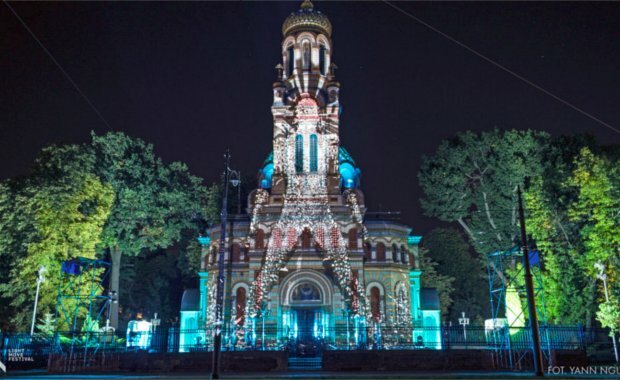 For the eight time, Lodz will light up with thousands colors and the walls of monuments will come alive. During the weekend 28–30 September 2018 streets will turn into open art gallery presenting light projects created by artist from all over the word.